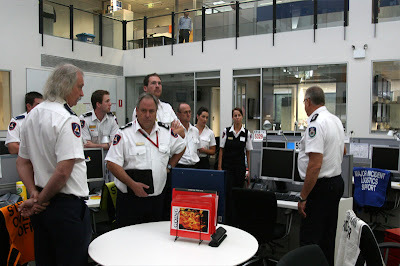 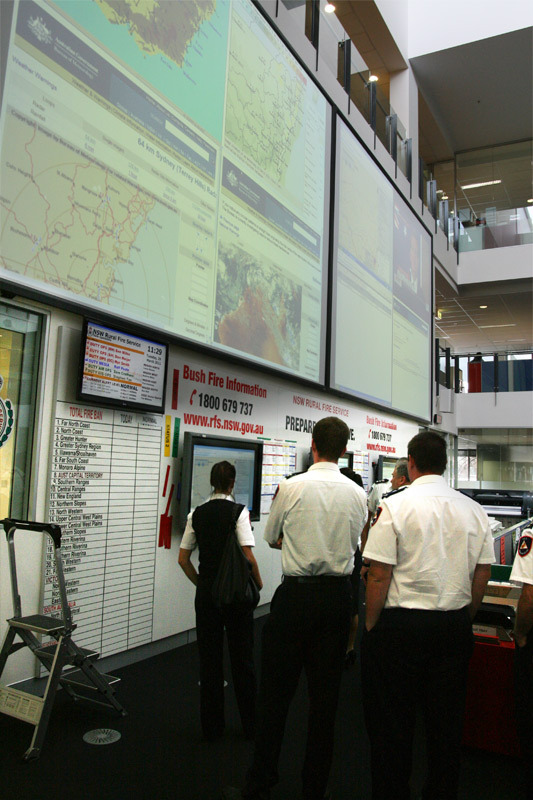 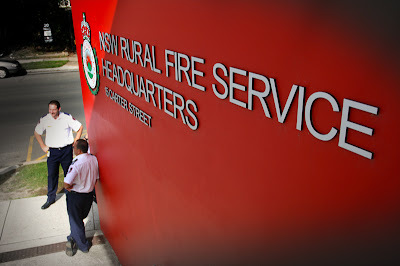 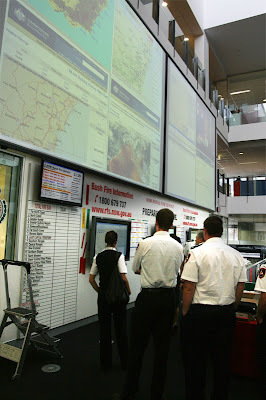 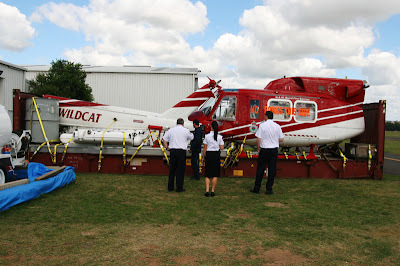 Yesterday the HQ staff of the ACTRFS went for a visit and tour of the NSW RFS headquarters at Homebush. 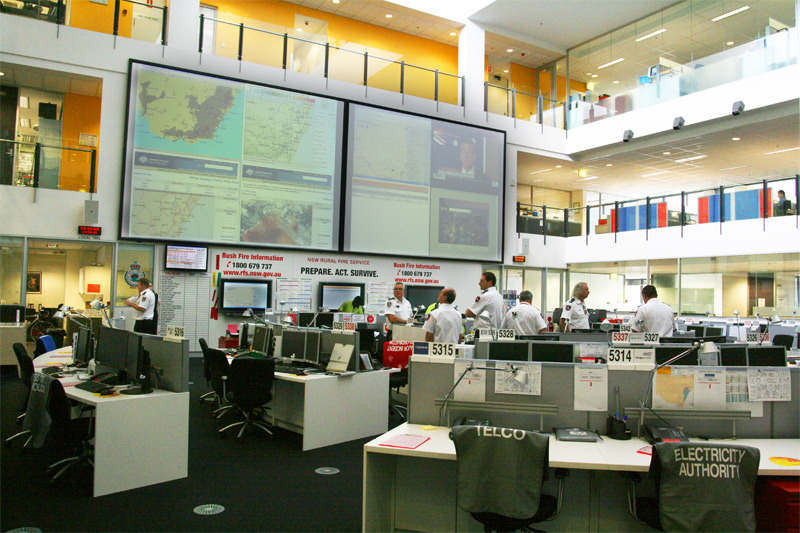 Visiting our neighbouring counterparts was very interesting as well as seeing how their Emergency Control Centre works. 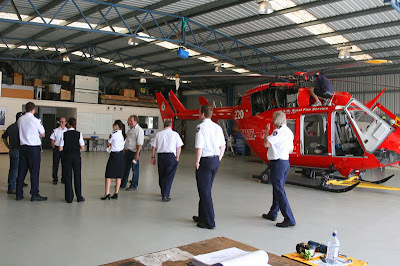 On the way back we visited United Aero who has the contract for the ACTRFS to provide the helicopters we use during bushfire season. Chief Officer Andrew Stark at his old stomping grounds. 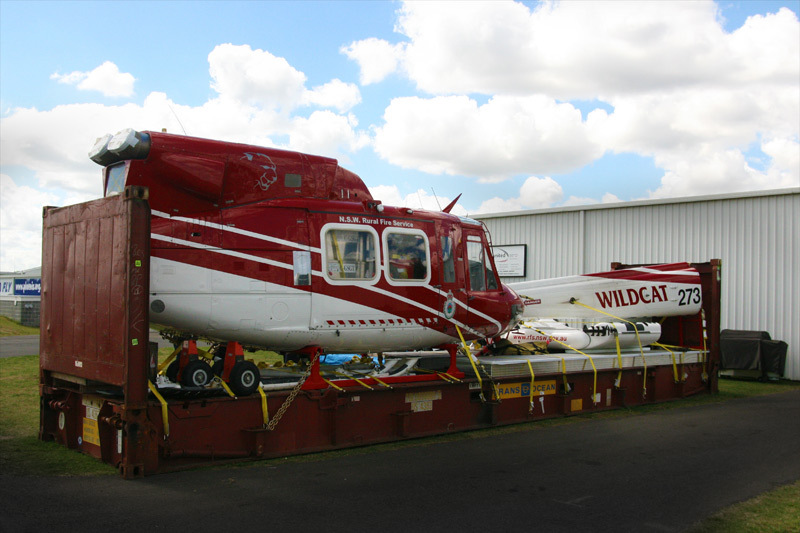 The chopper that was on contract in the ACT is now 'packed' up ready to head back to Canada to start work over there. It takes 12 hours to put the chopper back together after a 21 day sea freight.